I made this Canteen from a 24 oz Heineken Beer Keg Can. 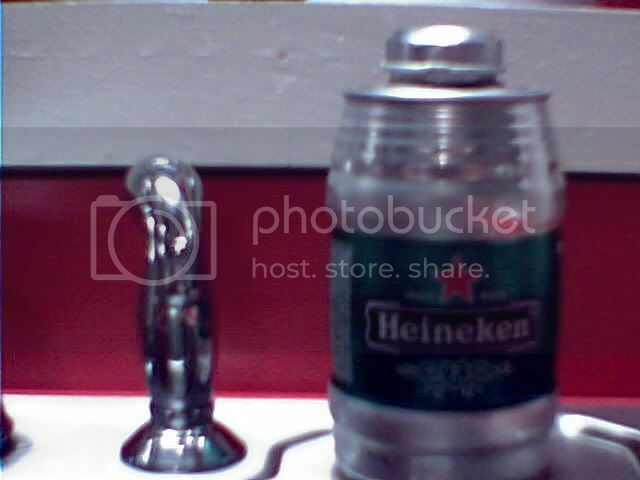 Allen wrote: I made this Canteen from a 24 oz Heineken Beer Keg Can. Is the top JB welded? Rock Star top! Fits right in. Skidsteer wrote: Rock Star top! Fits right in. They're hard to find around here, but I managed to find a couple. Does Rochstar come in a can like that? It may be easier to find. Is that a screw on cap? How does the top attach to the H-can? CajunHiker wrote: Is that a screw on cap? How does the top attach to the H-can? Yes It's a screw on. I used J.B. Weld to secure it to the top of the Heineken Can.